Stress and anxiety affects all of us. Sometimes, everyday life can take a toll on us which can leave us distressed over simple things. Work and home responsibilities can sometimes be too overwhelming. Unexpected financial problems, strains on personal relationships and problems in the workplace can leave us more distraught. Meditation and other relaxation techniques can help clear an anxious mind. It is important that you find the time to relax, meditate, experience the outdoors, go back to nature and just stop to “smell the flowers”. Some people like to do yoga because it helps calm their mind, increase their focus and practice breathing techniques. Find a quiet and comfortable place to meditate. Find a place which is quiet and there is nobody to disturb you. It does not matter whether you are outdoors or indoors as long as you are comfortable. You can sit on a comfortable chair or cross-legged on the floor. You can sit erect with your palms facing up. Always experiment. Try lying down, eyes closed or eyes open. It does not matter what your position is, as long as you are comfortable. Breathing technique is important. In order to slow down your heart, you need to pace your breathing. When you take slow, deep breaths your muscles also relax and your mind clears. Stretching helps loosen tight muscles and tendons. Once this happens, it would be easier to obtain a comfortable position for meditation later on. Stretching also acts as a biofeedback mechanism to make you more aware of your body. Mantra meditation is the most popular technique most people are aware of. It involves repeating a calming word, also known as mantra, silently to shut out any outside thoughts in your mind. 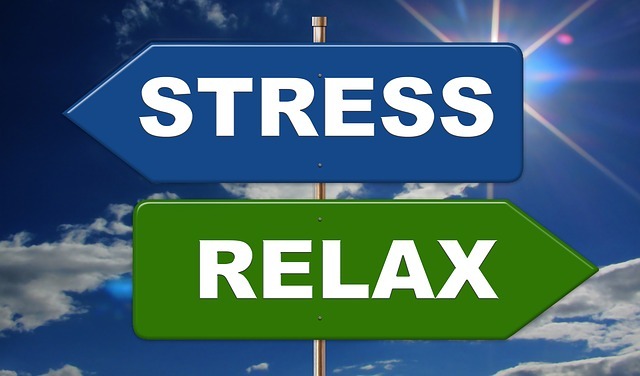 Progressive muscle relaxation involves tensing the muscles from head to foot or vice versa for about five to 10 seconds. This is then followed by relaxing the muscles to release the tension. Mindfulness meditation involves increasing your awareness of the present time. It may involve being more aware of your breathing or the sensation in your body. For instance, you focus more on how you breathe, how the floor feels in your feet or how the wind touches your skin. Being aware of the present moment effectively helps to calm the mind. Visualization involves imagining positive things to happen instead of the actual negative things that happen in your life. It involves focusing on a positive thought to make it happen in reality. Sometimes, visualization refers to picturing yourself in a very calm and relax situation to help clear the mind. Meditation takes time to master. In the beginning, it would seem difficult to do. Distractions could easily sway you, but never stop. Make it a regular habit and eventually you will succeed.